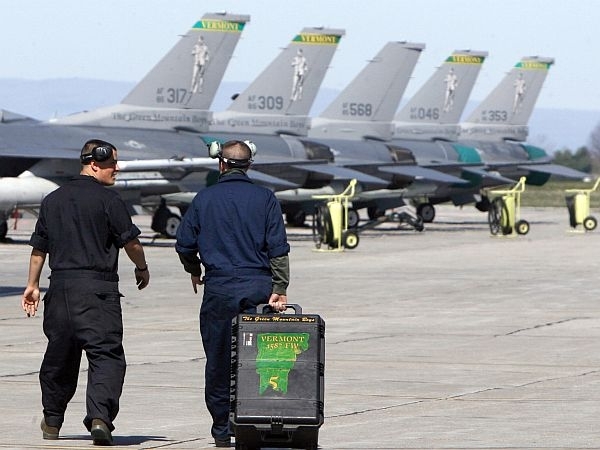 (Host) The Vermont Air National Guard will see both cuts and gains in personnel under an Air Force plan announced this week. VPR’s Steve Zind explains. (Zind) It’s both bad news and good news for the air guard. While the Air Force says it will cut 60 full time guard positions held by Vermonters, it will also add 66 active duty and civilian personnel to the Air Guard by bringing people in from elsewhere. The additional positions are part of what’s called the Active Associates Program and which assigns civilian employees and active duty Air Force personnel to local guard units. That means while there will be a net gain in Vermont Guard personnel, the full-time positions being cut belong to Vermonters who will be moved to part time status. Vermont Senator Patrick Leahy who co-chairs the Senate National Guard caucus, is critical of the Air Force cuts. Leahy argues that guard units are a lot more cost effective to maintain than their active duty counterparts. Overall, though, the Vermont Air Guard is faring well in the current round of cuts compared to guard units in other parts of the country. Authorities say two U.S. defense department contractors aboard a small plane that crashed yesterday morning in a remote Adirondacks lake were rescued – uninjured – by helicopters involved in the military exercise they were helping coordinate.